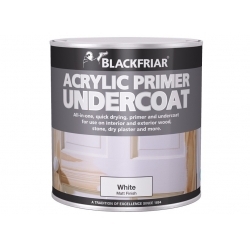 Get the best start for your project by using the best wood primer, undercoat or wood preservative. Rawlins Paints stock a range of water and solvent based products for use internally and externally, improving coverage, adhesion and durability of subsequent wood coatings. The type of wood you're intending to protect and decorate makes it important to choose the right base for your intended finish - softwoods normally prefer solvent based primers and preservatives, whereas hardwoods tend to perform better with water based products. Remember to consider knots and resins that may stain and whether you want to see the grain of the wood. If you are unsure as to product suitability, contact our Technical Team to discuss your requirements. Please note we always recommended testing products on off-cuts or ‘not-on-display’ surface areas, to check the product’s finish. Due to the volume of wood types, there consequently are an enormous number of outcomes from using a product across distinct types – so where possible, please refer to manufacturer data sheets to ensure a. the product is suitable for the wood types you wish to use it on, and b. further recommended treatments and topcoats to obtain the best finish required. The wood preparation stage is the most important stage on restoring, preserving, decorating or protecting wood substrates and surfaces. It will dictate what finishes are available, whether subsequent oil or water-based products can be used, how contrasting the wood grain can be, and how much protection is available against smoke and fire damage, discolouration, UV light, water spills and potential stains, woodworm, and much more. 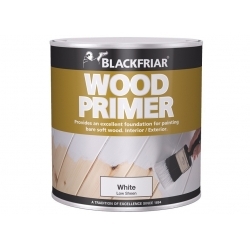 If you wish to prepare new wood prior to varnishing it, you may need fundamentally different primers and undercoats than if you intend to paint, oil or stain it. Wood needs to be sealed for paints and varnishes to adhere to it, as opposed to remaining porous for stains and oils to soak into it. 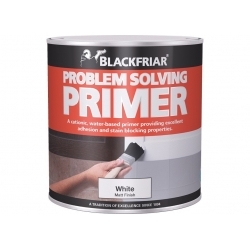 Key considerations are using clear or translucent primers, as opposed to white, or light-coloured sealers and undercoats. Has the wood previously been treated, varnished, oiled or painted? Has there been any, or does the wood currently need repairing or cracks filling? How old is the wood, and if it hasn’t been treated previously, has there been any warping from environmental, or atmospheric humidity and temperature changes? Has the wood been prepared by striping, filing, sanding, cutting or planing? Do you simply want to seal the wood to protect it, or add further protective layers and coatings? Products in this category may also be applicable for removing oil and wax residues, or coating and preparing wood substitutes, including veneer and MDF. 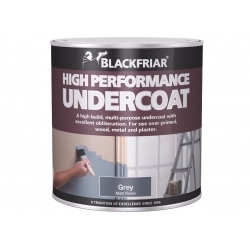 To treat all types and life stages of woodworm and wood boring insects, we recommend Blackfriar Exterior Wood Preservative Gold Star. It is ready to use for the eradication of woodworm, and is a low solvent, low odour based solution which penetrates deep into the wood. Woodworm can be found in wood and timber building foundations, woodwork and joinery – doors, window frames, roof timbers, floorboards, joists and rafters - and structural beams on aged, historic or period properties. Strong cleaning agents, like Jotun Demidekk Terrassfix, are ideal for exterior decking. Slowly dispersed in wood penetration for improved effect over standard wood preservation products, it can help tackle the expense of continued rotting wood and timber. Zinsser SealCoat™ is a fantastic sanding sealer, protecting the surface from any future strong solvent-based coatings. It also improves the adhesion properties of solvent-based polyurethane, water-based polyurethane, lacquer and other clear finishes. Interior wood types SealCoat™ acts as a sealer for, include oak, maple, chestnut, mahogany, walnut, birch, poplar, cherry and more. Recommended surfaces are panelling, moulding, trim, doors, cabinets, and furniture. We have several products for the successful sealing of knotted or resinous areas of wood, to prevent staining of future paint films. Coo-Var Patent Knotting is a low viscosity, translucent brown, shellac based product. 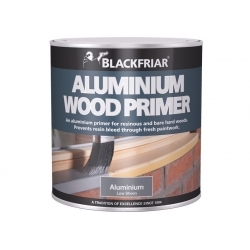 Blackfriar Patent Knotting is a translucent amber colouring that is made from pure shellac and methylated spirit, and is ideal for new wood, or wood stripped or burnt-off prior to priming. Please contact Rawlins Paints’ Technical Team if you require wood preparation advice for fire retardant or intumescent treatments, as these will require more specialist products not listed here.